If you can dream it, you can draw it-and now, it's a snap to take it along with you! Hit the road in a creative way with this travel-sized version of the all-time favorite classic drawing toy. 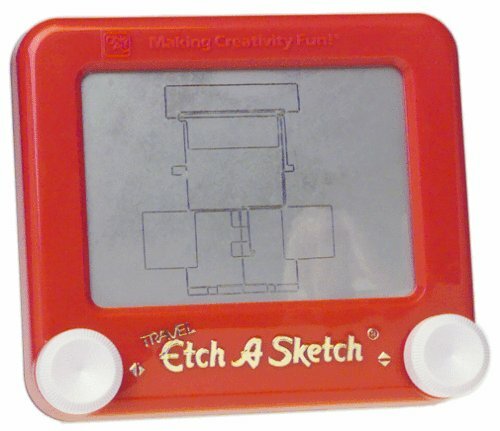 Travel Etch A Sketch looks and operates exactly like the original, but is scaled down to feature a 3 x 4.5 drawing screen. For ages 4 and up.